These days everyone has a cell phone with internet and if your website does not have a nice, quick loading mobile version, you are dead in the water. Luckily if you have a WordPress based site it can be rather painless to get your mobile site up and running. 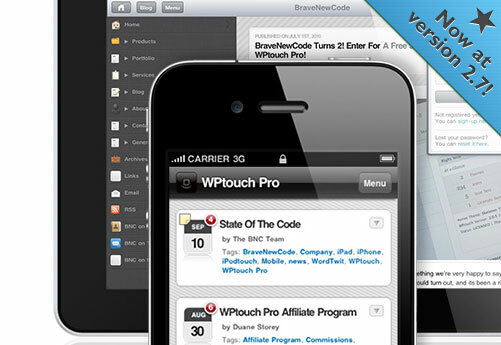 WordPress Touch is a great plugin that helps you start your mobile site. The plugin installs like all the others, and if you are not comfortable installing and adjusting plugins, you should seek the assistance of a experienced web developer, like VR Metro! For the most part WP Touch is the best mobile option out there for WordPress sites. For other sites that are Joomla based or PHP sites there are other options for you as well, but we will cover that another day!